Class runs one night on Tues, first week in March. As of today- 4 spaces left. Click here to learn more about the stove and it’s history. 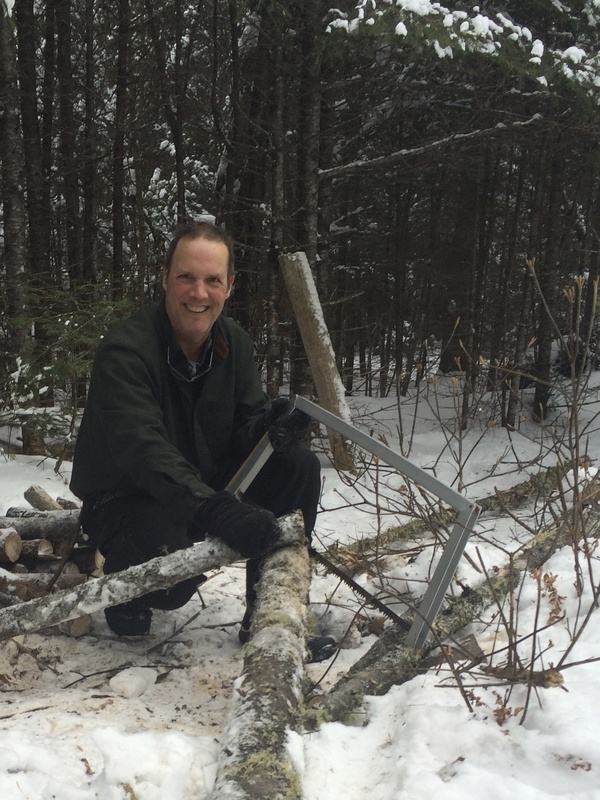 Tom Jamrog lives in Lincolnville, and has extensive backpacking and stove construction experience. Last night seven fat bike riders covered 11.3 miles at a quick pace over the super compacted snowmobile tread in Lincolnville. It was a loop trip, guided by Jason and Ian, with the Stevens Corner parking lot at Youngtown road as the base. 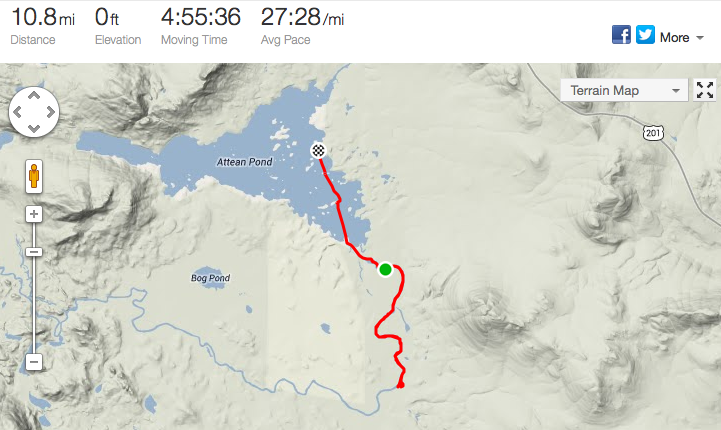 The ride went clockwise, up the big climb to Bald Rock, then over to Cameron Mtn, and down to the center. From there out to Coleman Pond and then back through a frozen swamp. It was 11 degrees when I reached the house at 8 PM. My hands and feet hurt from the cold. I have to remember to use chemical heat packets for my hands and feet the next time I ride in this cold, which should happen Friday. First, how surprisingly rideable the surface was. It hasn’t been this good this winter. It should stay good, with the eastern US now locked into a cold pattern , where frigid temps are expected until mid-March. Warm is good for the soul, but bad for us winter bikers. Second, it was a gas to have this much fun riding so close to my home. My new trend is to stay close to home and have local adventures . The feeling of careening down over a smooth track from Cameron mountain and gliding over a rock garden that makes up the trail in the summertime was unique. Third: The bizarre experience of riding along over the top of Coleman Pond was both unsettling, and exciting. Our little lights put a weak glow into the darkness, and added to the mystery. And oh, what a deep sleep. ..even if the book is still out of print. 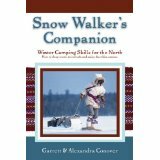 This past week I have been re-reading Garret and Alexandra Conover’s definitive Snow Walker’s Companion: Winter Camping Skills for the Far North. Reading it again makes me wonder if I was paying attention the first few times I read the book, which is currently out of print. There is so much to be learned from the pages of this book. Coming off a 4 day winter trip of my own earlier this month on the Moose River near the Canada border, I appreciate filling in my knowledge gaps with the details that are laden onto each page. If you can find a copy at a used book store, snag it. Over to Youtube. I have been tagging potential videos for the past few months and took some time last night to view some of them on my TV set by the glow of the wood stove. I stumbled onto this gem, which is a MUST VIEW for all lovers of boreal trekking in the wintertime. It is stellar 50-minute piece of work entitled “Snowwalkers”. 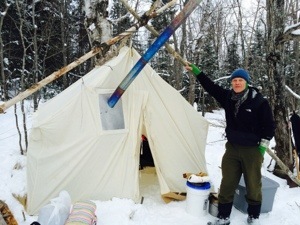 This was a 10-day, 100km ( 62 miles) trip down the historic Missinaibi River in mid-winter. Released on Youtube on Feb 24, 2014, the video is to you by Laurentian University, the LU Alumni Association and Lure of the North. The video features Garrett Conover in action, portrayed here with justified reverence and capturing him in his usual, low key, hard-to-squeeze-anything-out-of-him style of leadership. I remember asking him numerous questions on the few trips that i had the fortune to take with him, and the answers were always preceded by, “Well, it depends….” I now realize how right he was. See for yourself- invite some friends over, grab some popcorn and take notes until the book is republished. Occasionally I repost material written by others that I feel a connection with. Carrot Quinn has given us one of the best post-thru hike accounts of how it feels to stop walking after exercising 12 hours a day, for day after day, and months at a time. It’s a bit long, but has good photos and deserves to be listened to.–> After the trail: The return of the existential despair. I experienced some of this post hike depression in 2007 after I completed the AT. 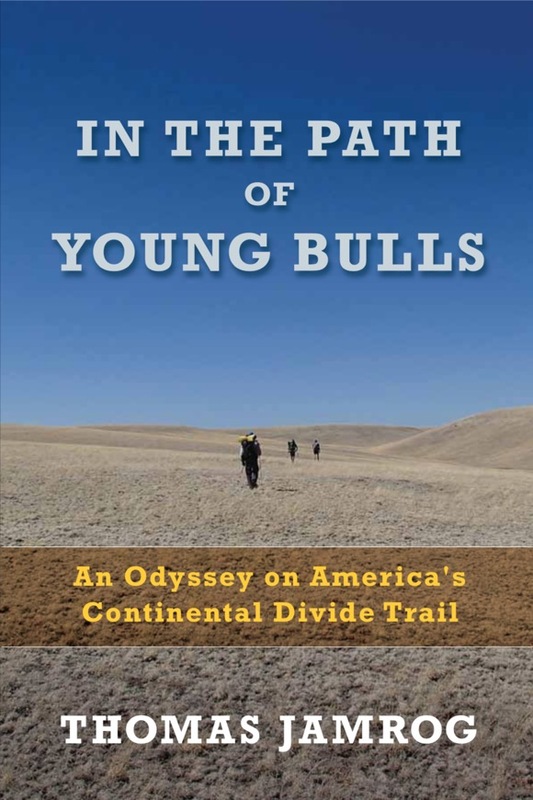 I was better after the 2010 PCT hike, and am almost back on track after completing the CDT this past September. I do have a great place to live, and a family and friends that love me. It still feels feels selfish when I whine after being on “vacation” for 5-6 months a year, but thru hiking was definitely not a vacation. My MeGaTex buddies and I used to joke about how nice it would be to just be able to “camp” and walk a bit each day, but we were generally asleep after boiling up a pot of food, and staring at the campfire until the tiredness took us away into the darkness. Steve’s idea to start an hour earlier made good riding possible. For years- nope- wait, how about decades, the Bubbas saddle up at 9:30 AM on Sunday mornings and hit mountain bike trails here in Midcoast Maine. The temperature was right on the edge this morning- low 30’s here in Lincolnville. We didn’t know if it was going to be sunny as the day came on, but did know that it was going to warm up. Once the rays of the late February sun hit the compressed, snowmobile-packed snow on top, the tires sink, the churning begins, and the effort doubles. So we all were there an hour early, and it didn’t take long for us to realize that the tread was excellent at this early hour. Even if it wasn’t rock solid, it was packed so well and still so cold we that were rolling fast on the flats and downhills, and still able to climb up the steep sections. We even extended the normal ride, heading over toward the four-way near the Mount Pleasant trails. 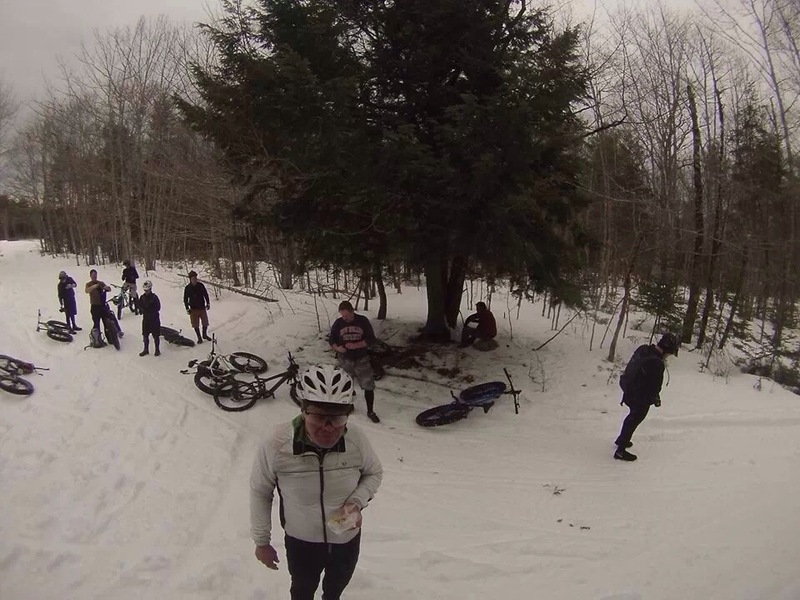 Eleven riders, all on fat-tire bikes except Rigger, enjoyed the best day of winter riding I’ve experienced this winter season. 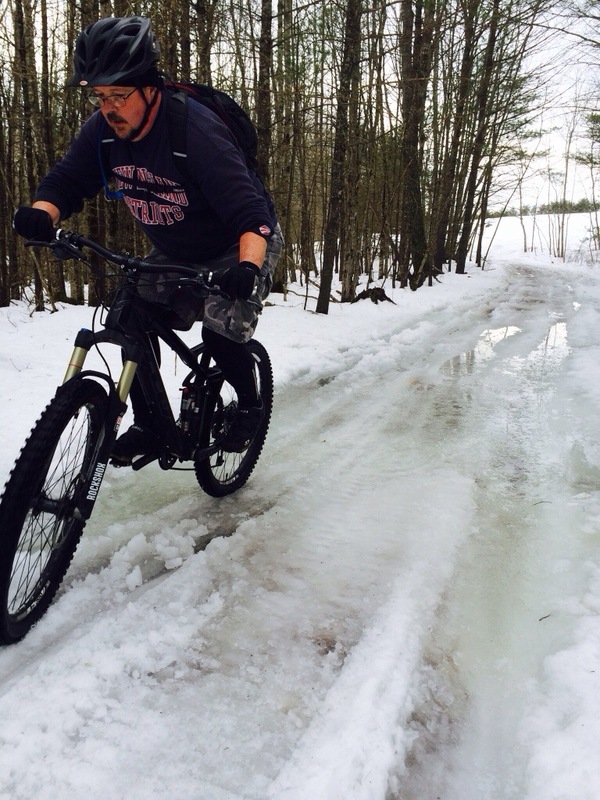 Rigger proved that you don’t need a fat tire bike to enjoy the winter riding right now. This is THE TIME. The weekly forecast predicts yet another week of sub freezing conditions, with daytime highs of 31 degrees and under, falling into single numbers each night. We’ll just have to see if Wednesday brings more snow. We’re charging up our lights for at least one night ride on the trails this week. Steve and I are hoping that other riders will be able to join us in checking out the Tanglewood 4-H Camp trails right after lunch on Friday this week. I love riding the suspension bridge over the Ducktrap river out toward Pitcher Pond. Both Steve and John Anders were running video today. I’ll post when they finish editing. John had a tall collapsible extension that he had bungeed to his top tube that he’s been using to place the GoPro up high to vary the angle. Here we are! In 1977 my wife Marcia and I were in our twenties. We had just brought Lincoln into the world. He was two. 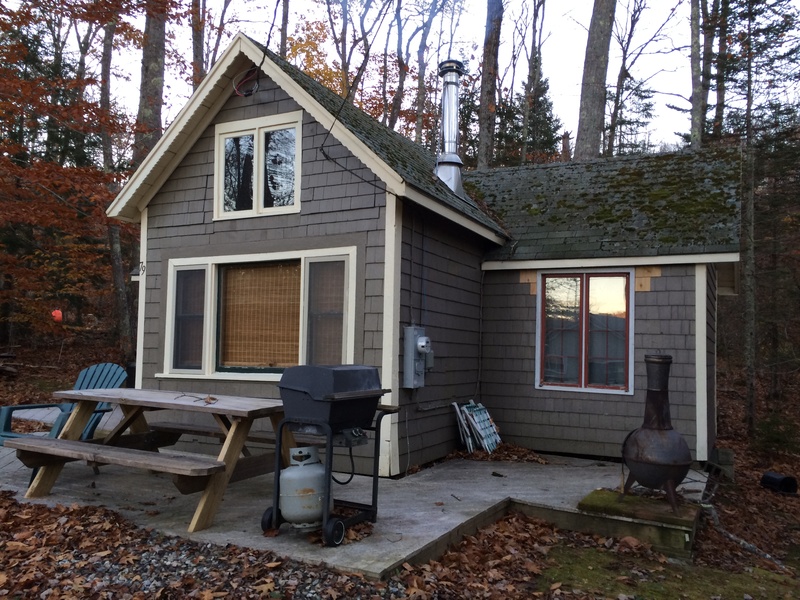 We lived in a $1,000 used mobile home on a 5 acre south-facing, piece of peace on the coast of Maine that we bought from Carol Frost for $4,500. He wanted the money to buy himself a brand new Honda 750 motorcycle. My friend Steve Horton knew Carol and encouraged me to move on the deal. The trailer was in rough shape. When we turned on the feed from our dug well the water lines took on the form of a sprinkler system because whoever used the trailer last ( We moved it here from Owls Head) never drained the pipes, which had burst when they froze. I replaced most of the the copper pipes myself. 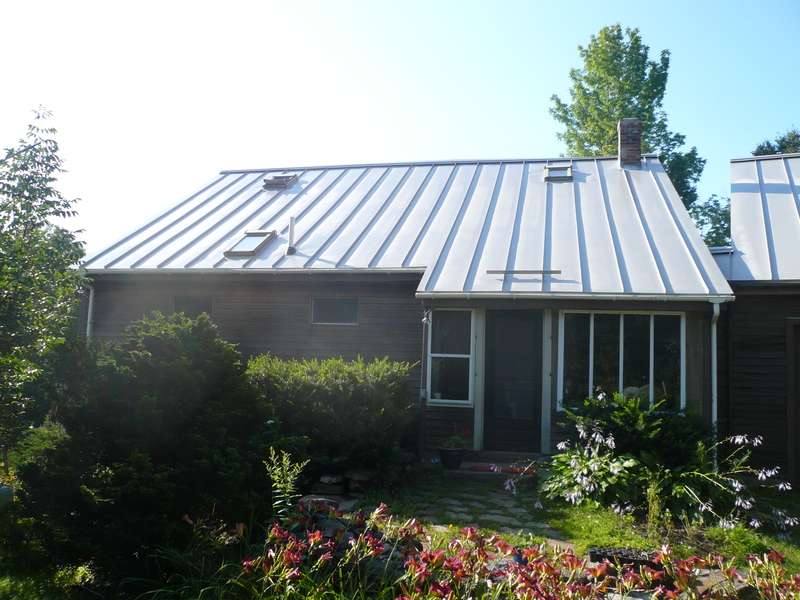 It was not a big place to live, and although the oil fired hot air heating system kept us warm enough, by the end of that winter more than an inch of ice had formed on the inside of the aluminum door that was in our bedroom. The three of us had to do something. Enter Pat and Patsy Hennin and the Shelter institute. I drove down there once a week, on Wednesday nights, for several months and learned how to build, in theory. Then Marcia and I signed up for the design option and we hand drew one sheet of plans to build a 20 x 30 post and beam house. I had a small 16” bar Stihl chain saw that I used to cut down a few of dozen tall, straight trees that were part of the land here- big oak trees. I was scared they would fall on me, but somehow pulled it off, as you do when you are full of hope and energy when you are young. This was before the Hazens moved in up the street. Alan Davis was living in that house alone, after his wife divorced him. He was going downhill fast and close to freezing to death. He owned a big old John Deere tractor, and volunteered to haul up the logs to the side of High Street for a case of beer. We did it in one day. Basil Pearse still had his sawmill going in Searsmont at the time, and drove down and picked up the logs and milled them out in his tiny sawmill next to Sprowl Lumber. I had no idea how it was done, but figured if I cut roman numerals into the butts of the logs with the chain saw and gave Basil a piece of paper with what lengths and what dimensions would come out each numbered log it would work. It did, and a week later Basil dumped a big pile of green oak 6 x 6’s, 6x 8’s, and even a couple of 7 x 9’s by the road. He handed me a handwritten bill for $140 dollars and my oak frame post and beam saltbox was ready to be put up. I had my grandfather’s 1940 John Deere L tractor then. My parents gave it to me, as they were no longer farming in Massachusetts and it still had a bit of life left in it, at least enough to hook a chain to the back of it and drag the timbers down the hill into place. My friend Lock and a real carpenter named Jay Leach worked with me that busy summer of 1978 to build the house. I worked day and night. Basil Pearse also sold me sheathing, rafters, and the flooring. I pried a few choice 24” pine boards out of the pile to floor our upstairs bedroom. We are still here. Lincoln’s in Montana. I still remember what Pat Henin told me- “People who build small houses can afford to relax.” I continue to be totally happy with our smaller house. It is pure 1978 technology, and stays warm on 2 cords of wood a year. The water is clean and steady from the 10’ deep dug well. It’s easy to have a great vegetable garden, and this year I decided to start cutting and hauling my own firewood. Small buildings are coming up out west, too. 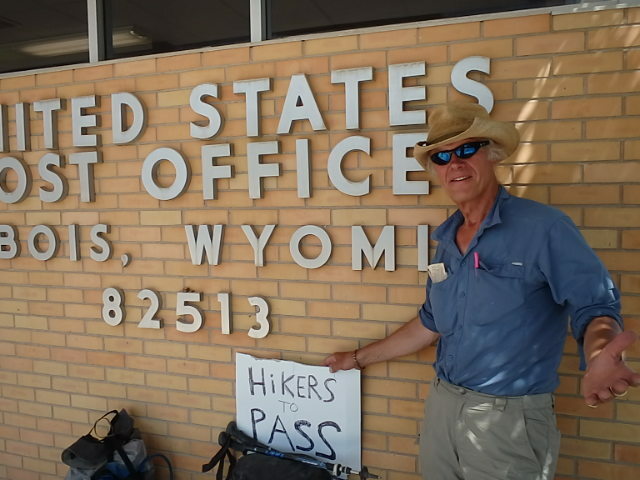 I spent the night and resupplied in Dubois, Wyoming this summer on my thru-hike of the Continental Divide Trail. The town was first settled in the late 1800’s, more than 100 years after people were carving out an existence here on High Street in Lincolnville. Dubois is nestled in a valley between the Absaroka and Wind River mountain ranges. The Wind River meanders peacefully through town. Look what they are doing in Dubois- Frontier Tiny Homes ! 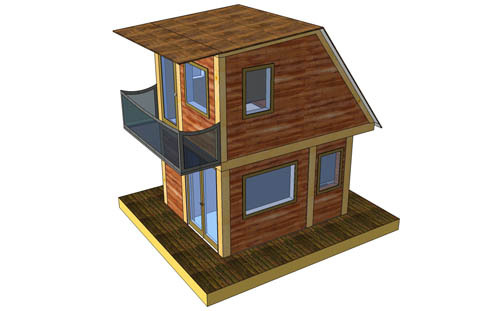 I love it, and encourage any one who is thinking about a home to consider going small. Marcia and I also have a tiny camp on Hobbs Pond nearby in Hope that she found advertised for sale in Uncle Henry’s. I think small houses are the best. Marcia is a big fan of tiny houses. I have fantasies about cutting way back and living in our 328 square foot camp instead of this bigger house here. Who knows what will happen? It’s hopeful to live small. Finishing any multiple day walk ramps my excitement up a notch. On last days, I have always acted like a horse getting closer to the barn, often speeding up and taking on longer mileage days as the idea of coming home catches fire inside of me. I like being in the outdoors, and this trip has only confirmed my desire to get back somewhere in Maine for another longer winter walk in 2015. First, we had no set itinerary to stick to- something that is difficult for me. I’m goal oriented, however a fresh goal is embracing improvisation. If you want to explore how improvisation can improve your outlook on the inevitable changes in life- here it is-Improv Wisdom: Don’t Prepare, Just Show Up by Patricia Ryan Madson. Thanks to Brad Purdy for bringing me this information! There was serious democracy in action out here. By the third day, no one had to talk about what to do – cutting firewood, splitting it, fetching water, cooking, washing up. It just got done. Fine men around me, all. The best example of this was our “rest day” where each person was free to walk all day on a day hike, or to lay around inside the sleeping bags and read and sleep. I learned that cold hands are inevitable when it gets below zero and there is close handwork to do, like packing toboggans, and cinching ropes. Despite being one of the top snowmobiling capitals of Maine, Jackman is still far away from civilization. We were surprised to see just a half dozen sleds on the Pond. Consider midweek vacations if you want to avoid crowds. Old stuff works. 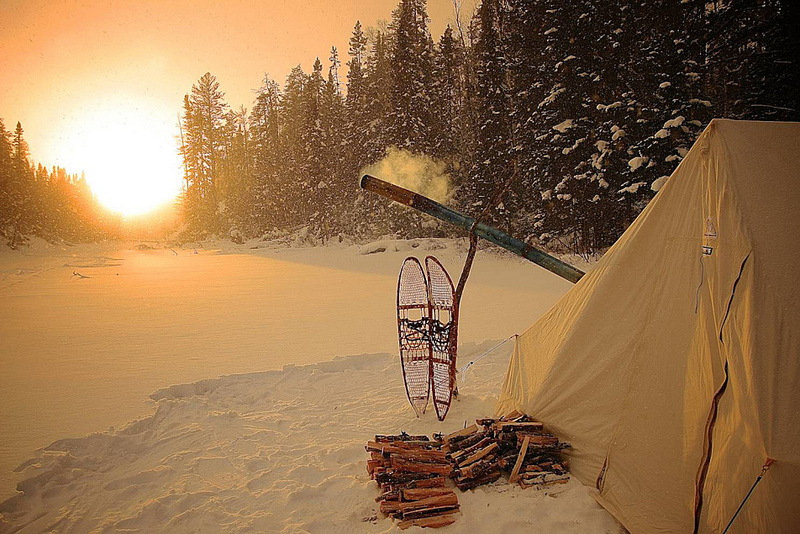 Old snowshoes, traditional cotton tents, mukluks, axes, saws. Just yesterday I read a interesting story that came to me from my stove/fire guru and proprietor of Four Dog Stove, Don Kivelus. Fresh from Minnesota Public Radio, it’s about one man’s shift from cold to warm winter camping–>click on the hotlink below for a superb article about another guy doing just what we what we did. Here’s one reason why ( from the MPR article)! Early morning rising is easy when the lights are out at 7 PM. Hard to believe but it was even colder last night. Pat was up first – his coffee Jones propelling him to head down to the open lead and fetch water, and then kindle the wood stove and start the coffee percolating. By 8:30 AM, the bacon was ready, and the rime frost that lined the acreage of the 9 x 12 Egyptian cotton tent had already thawed, so the thin fabric was dry again. The double whammy of bacon and coffee fragrances makes the heart want to reach out again and embrace the frozen world around us. Who knows what adventures the day may bring? There are no set plans. We have a big pile of firewood that we worked up yesterday so I might just hang out and stoke the fire and eat, read, and write. Or I could head back to Attean Pond and explore along the shore, or pack a track partway back to the car in order to make our exit easier. Or we could move back up river over the superhighway that we laid down yesterday and set up there. 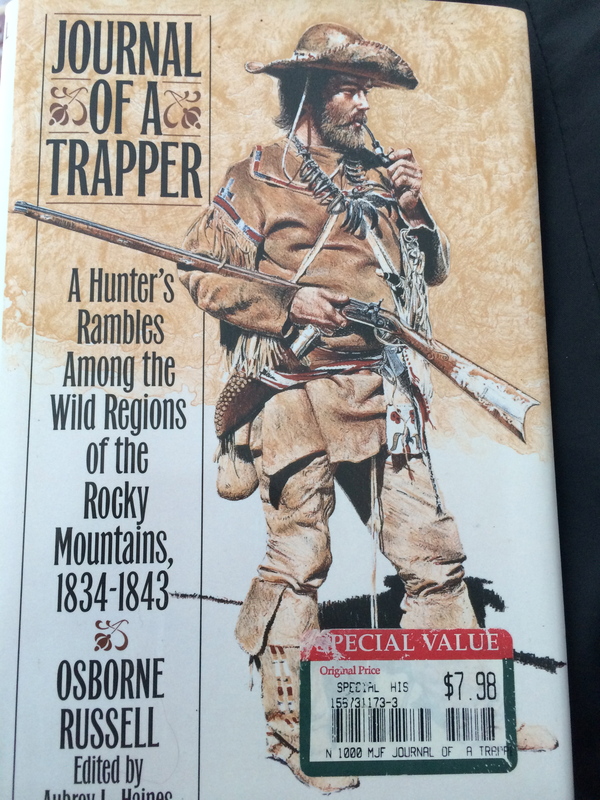 In the end, I spent a few hours stoking the stove while finishing up Journal of A Trapper: A Hunter’s Rambles Among the Wild Regions of the Rocky Mountains, 1834-1843. If you feel like it is a big deal to be out and live in the cold for a few days, read this. Nine years of wandering around the Yellowstone region trapping beavers, eating basically nothing but meat, and befriending or, if that fails, getting Indian arrows stuck into you. Unbelievable. 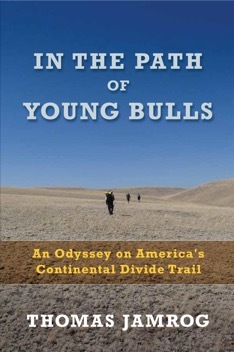 I was reading from this book and came up with a passage that had Osborne eating pemmican. I had some with me made by my friend Craig and we snacked on that . Pat and Matt went back up the river for a six mile walk. Bad Influence and I walked across the frozen river to a small bog where we sawed down three dead, standing spruce, delimbed them with the axe, and then hauled them back to our firewood processing yard. We worked quickly with two saws and then I split up the larger pieces while BI stacked them inside and more outside the tent. 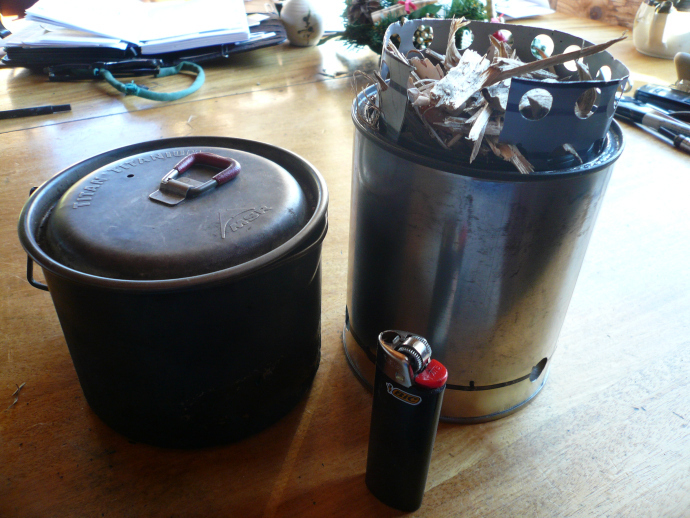 We then did some architectural renovations to the heating system, adding extra crib work under the stove, shoveled more chunks of ice and snow into the pit that had melted under the stove, and secured some of the two foot sections of 4″ stove pipe that had come loose during the day’s wind and stove’s settling into the pit. Pat was on for supper tonight, which we put off as long as possible yet commenced at 4:40 PM. Carr’s Crackers with cheddar cheese and pepper salami made up the appetizer, with chili and cornbread, and home made chocolate cookies for dessert. The cold doesn’t seem so formidable to me tonight. I must be getting used to it. Headed part way out today. Our relaxed breakfast featured fried Hickory Flavored Spam- for Pat and I, but neither Bad Influence nor Matt cared for any at all. I am a true fan of grilled up Spam when I am hiking. It’s a taste that ranks big time, in my book. I don’t eat Spam when I am at home, and I don’t ever eat cold Spam right out of the can. But sharing Spam roasted up over a campfire, outdoors in the forest, and interacting with those glowing coals is as good as it gets. We were not sure about what to do about weather. BI said a Nor’easter was coming tonight, and I told him I heard it was going to happen Sunday night, and by then we’d be headed home. After several unsuccessful attempts to get a Verizon signal, I was finally able to connected with my iPhone. My weather APP confirmed that no storm was coming at us tonight. So we decided to head back down the river toward the car and put in for another night of camping somewhere on the eastern side of Attean Pond. Toboggan pulling was ridiculously hard for me today. About 6″ of fresh snow had accumulated on the base since we walked here three days ago. My wooden sled acted as if all the base wax had worn off. It resisted forward motion, plus the cold wind coming right straight at us. It was about 12 degrees out. Snow was swirling, being lifted from the frozen surface. I had on ski goggles with a yellow lens, and a silk scarf covering my face. We grunted our way up , first-heading for the closest wooded island, even if it was a bit west of course. We had to get to the lee sides of islands in order to find a resting places to get out of the wind, drink hot coffee from our thermos, and for me to eat a chuck of pemmican. Two years ago, Bad Influence and experienced wind so strong here out of the west that it tipped our loaded toboggans right over. Three sections of aim-for-the-island hopping eventually brought us into a sheltered cove behind an island where we found the sweetest winter tent site. Matt’s supper was very interesting and quite delicious. He made papas fritas, with Santa Fe Ole Red Chili Sauce. Appetizer was goat cheese and Mary’s Crackers. For dessert we had Ben and Jerry’s frozen yogurt with hot creamed applesauce. Even though there a cold wind blowing in the distance, we are enjoyed the stillness behind the little hill that’s shooting the southwestern wind right up into the moonlight sky above our peacefully reclining bodies tonight. The sun is finally making it’s showing above the expanse of spruce and fir trees here along the shore of the Moose River. My thumb is already starting to crack in the cold. 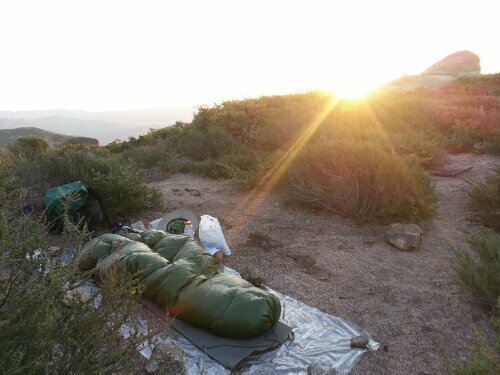 We spent over 12 hours in the sleeping bags. This morning, no one was up until it was light. I got the stove going and then crept back into my sleeping bag to warm up while I waited for the stove to start radiating heat into our living space. It was very cold. I have no interest in winter camping out of a backpack any more. Heated tenting is where it is at for me. Pat works outdoors in all seasons and he said it was around 10 below zero. Snow had collected on the 13′ x 13′ plastic tarp in the night and we had to knock it off. 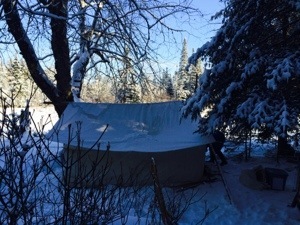 The tent’s interior surfaces were covered in a thin layer of ice that built up from the cooking and the moisture that four men create by living in a small heated space. I suffered through an hour of discomfort while eating supper last night. Stay away from Dave’s Ultimate Insanity Hot Sauce. I shook 4 dabs into last night’s stew and two spoonfuls put my mouth into such a fire that I was unable to eat any more. I should have read the label, which recommended 1 drop at a time. I put hot sauce on just about everything, but this stuff is truly in another universe. I should have read the label, which warned the user to use , at most, one drop at a time, and even suggested diluting the stuff in oil. We came up with a creative solution to today’s activity. Instead of moving the tent again, we completed a 6 mile round trip walk up the river, taking minimal gear- just 1 toboggan, two saws, and the axe. Our quest was to pack down the fresh 6″ of snow on snowshoes and scout out a potential tent site to use as we move up river tomorrow. The day was sunny, with a bit of a breeze, however it stayed freakin’ cold. I was terribly frigid at our first snack stop after 2 miles of trudging through the loose powder. I tore open two chemical heat packets and shoved them into my chopper mitts. I put a scarf over my lower face. I pulled up my jacket hood, drank a pint of hot coffee, ate a big Chunky, and trusted that things would turn around while I continued to walk. We never did find an ideal tent site within those three miles. At the turn around point, Matt suggested that we explore a tributary that came into the river through a marsh. 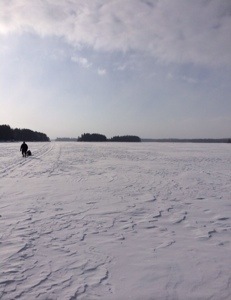 While walking in the frozen swamp, Pat broke through the ice and luckily dove onto shore before he got his feet wet. 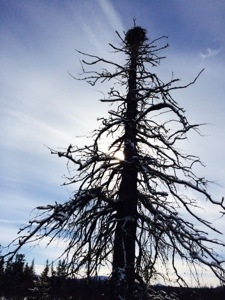 We all walked over to a single, tall, dead spruce to observe the osprey nest at the very top. Matt told us that the boggy expanse of swamp would be an ideal place to spot a Snowy Owl, which are overwintering here from their northern reaches in the arctic. No luck with that. We made great time walking the three miles back to the tent, where the four of us, unspoken, set to work getting a bucket of fresh water, replacing melted snow under the stove, cut and split firewood, and readjusted the tent. No more snow allowed for repositioning some of our outside gear as we settled into Bad Influence’s evening meal of Ranch dip and veggie chips, beef stew, and yummy dessert bars. We were all in bed by 6:45 PM. I hope I sleep soundly, and pray for no legs cramps tonight. The silence of nature is genuine here, a rare occasion in America in 2014.